Winners of the Variegated Thread Sets! Thank you to everyone who entered our Variegated Thread Giveaway! As always, it was a pleasure to read all of your responses and thoughtful comments. We definitely appreciate all of the feedback regarding our thread colors. If you aren't a winner, you can still get your hands on our variegated thread. 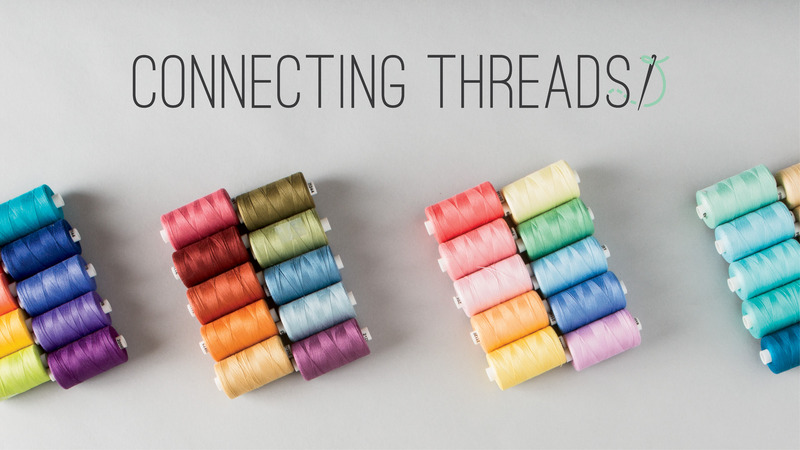 Variegated Thread is back and we’re giving some away! Okay, Okay – I get it. You want variegated thread back. Well I call Uncle! Here it is in all its colorful luscious glory. In Sweet & Simple Patchwork Gifts: 25 Charming Projects to Make Using Classic Quilt Motifs by Hisako Arai and Yoko Sanjo, I was drawn to the Market Tote and coordinating Small Bag because I wanted to practice English Paper Piecing (EPP). I chose the Small Bag because its size was more suitable to a quick Gifty Galore project. This contest is now closed. Thank you to everyone who participated. To find out who won, click here: WINNERS As we enter into August, many of us begin to feel the end of summer approaching. Starting in September, the kids go back to school, the weather starts to cool off, and the number of family vacations dwindle down. Because we here at Connecting Threads aren't quite ready for summer to be over, we are offering up a fun giveaway with some of our favorite bright and cheery items. We have our thread winners!